Grey Wagtail (Motacilla cinerea). Taken at Farmoor, Oxon., on December 28th 2015. Taken at Farmoor, Oxon., on December 28th 2015. The Grey Wagtail is more colourful than its name suggests, with slate grey upper parts and a distinctive lemon yellow under-tail. 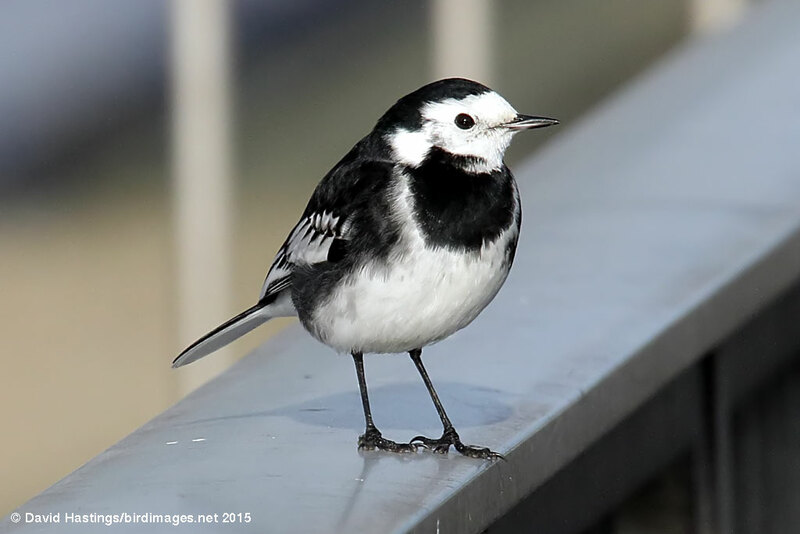 Its tail is noticeably longer than those of Pied and Yellow wagtails. There are various island subspecies, include patriciae of the Azores, schmitzi of Madeira and canariensis of the Canary Islands. It is found throught the British Isles, but only in summer in most of Scotland. It breeds on small, fast-flowing watercourses with plenty of exposed rocks and with woodland or trees along the banks. Most British birds are resident. There are also migrants and winterers from northern Europe. Because of recent moderate population declines it is an Amber List species. There are between 38000 and 46000 pairs in the UK.